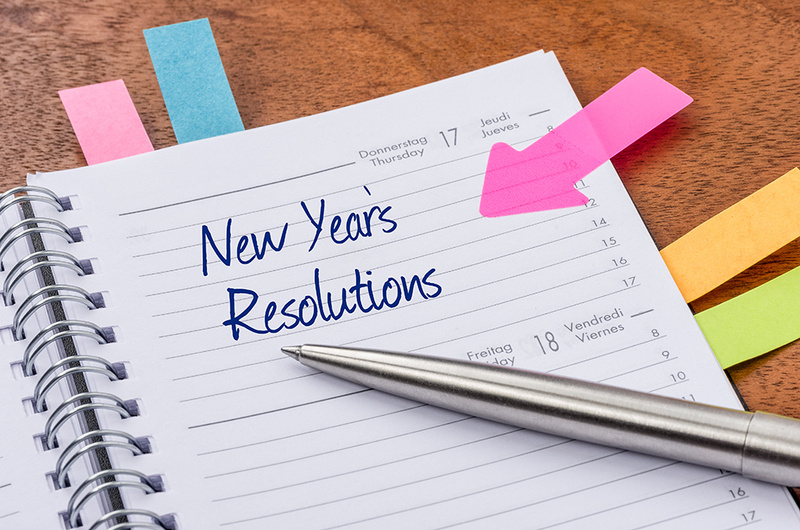 Regardless what you think of New Years resolutions, they are pretty common. And for good reason too. To many people, the new year constitutes a natural starting point for something new. A recently published study by Dai, Milkman and Riis at the University of Pennsylvania suggests that the reason why so many of us keep thinking of New Years resolutions is that the turn of the year is such a clear divider between ‘before’ and ‘now’. We resolve to change and behave more to our liking as soon as the new year begins. It seems as if we often ascribe our less constructive habits and qualities to a former self, and the more desirable behaviours we want to develop to our present self, which might come of use in our business. We used to be a business that ‘did that’ (did things in that less constructive manner that we now want to change), but now we are a business that ‘does this’ (the more desirable alternative). It is such a shame that we have to wait 12 months for each New Year, since we so seldom get to relaunch ourselves and start afresh. We are of course free to make a fresh start at any given moment, but if we still perceive New Years as a very distinct divider between now and then – how can we experience the same effect throughout the year? Well, we could start by having New Years more often. If we want to make a change and establish some form of better habit for our structure, we can always find a milestone of some kind and set the new habit into action after it passes. • Choose a habit you want to begin with. Perhaps it is being on time to more of your meetings, using the activity-based advantages of the office more then you usually do, check your inbox for new emails less frequently, prioritise more consciously, or something completely different. • Take a look in the calendar and find an occasion or event that can act as your New Year, your milestone in time at which you begin the new regime. The greater the contrast and break this event constitutes to your every day life, the more effective the milestone will be in distinguishing the old from the new. Events that occur for the first time will be perceived as more meaningful than those which happen regularly (such as turning 40 compared to 31). • Write down your ‘vow’ to yourself, meaning, what you have decided to do in a new way after the ‘New Year’, and that will be significantly different from how you used to do things. • Take a few minutes to think about what you need to do now to prepare for behaving in that new way after the milestone. Will you need to remind yourself of the new thing or working method once in a while? Create a template? Make a cheat-sheet? Rearrange things you usually have right in front of you when you work? Do something regularly from now on? • Formulate to-do-tasks that describe what you need to do, or make the changes or preparations immediately. If you fall back into old habits and ‘fail’ to keep your promise to yourself, identify another natural and distinctive milestone and start over. Remember, you don’t have to wait twelve months for the opportunity to try again. If you celebrate the New Year, start afresh and have another go at whatever change you want to make more frequently than every 12 months, you will have many more opportunities to refine your work methods. It will not matter as much if you fall back into old habits, since you can just get back up and begin again. By having to start over with the new habit again and again, you practice your resilience and ability to get back on it, which is an invaluable skill to have in an increasingly changeful world. And with every restart, you refine your work method further, which will benefit both you personally and the organization you work in.